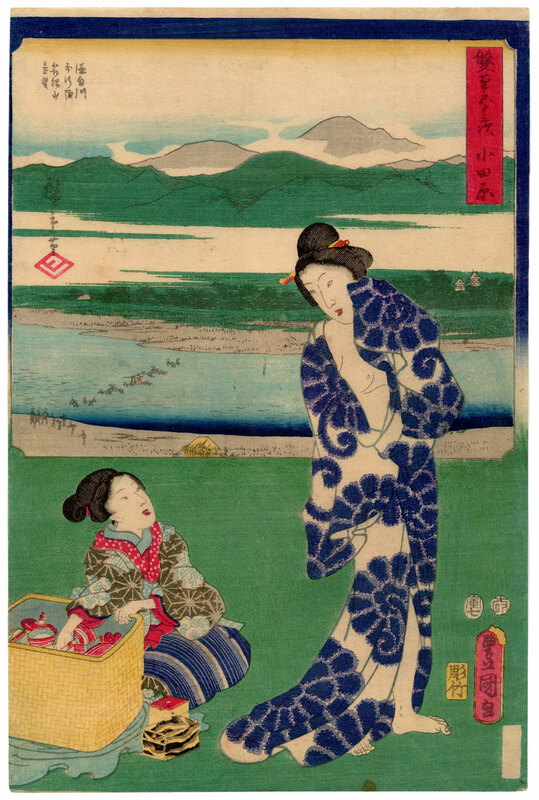 Precious large vertical format woodblock print, the result of a collaboration between the two famous artists Utagawa Hiroshige (歌川広重) and Utagawa Kunisada (歌川国貞). Of the first, the landscape visible on the upper part of the work depicting the ford on the Sakawa River (酒匂川) and, in the background, the mountains of Hakone (箱根). 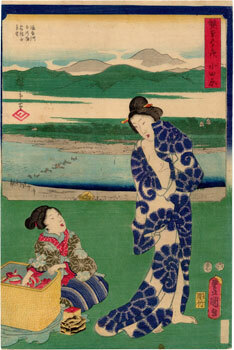 Of the second, instead, the female figures in the foreground: a stopover traveler at Odawara (小田原) station who, after a thermal bath, converses with a young souvenir seller. 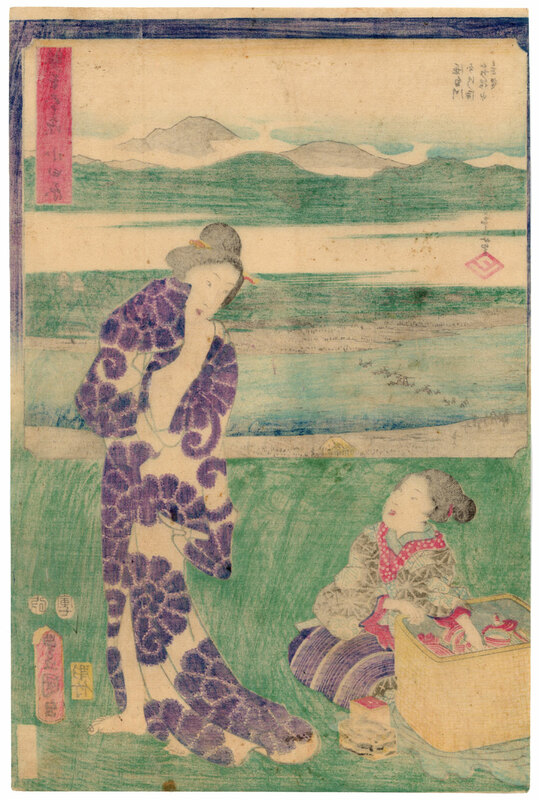 The work, made in July 1854 by the publisher Maruya Kyushiro (丸屋久四郎) and by the carver Yokokawa Takejiro (横川竹二郎), is taken from the series "The Fifty-three Stations [of the Tokaido Road] by Two Brushes" (双筆五十三次).